This gray phase Gray Squirrel was photographed at Ojibway Park. 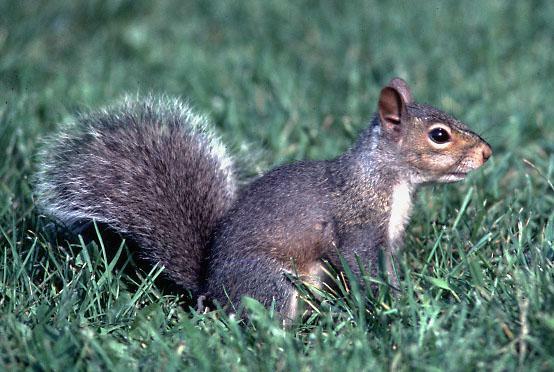 Gray Squirrels are a common visitor to backyard bird feeders and will feed on a variety of wild bird seed. They are especially fond of peanuts and sunflower seeds. To discourage squirrels from climbing up feeder poles we place stovepipe around the poles and keep the feeders out of jumping range from neighbouring buildings or trees.